As a bank officer, she has brought expertise, her employer’s resources, and her own to help charities, especially those serving sexual-minority communities. She has been a leader in the Chicago House social service agency, the Gay Games efforts of Chicago 2006, Lambda Legal Defense and Education Fund, and Center on Halsted organizing activities. 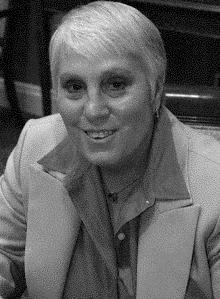 As a senior vice president and group credit officer at Chicago’s Northern Trust Bank, Sue Connolly has consistently brought her financial and management expertise, personal time and money, and the resources of a supportive employer to aid charities, with a concentration on organizations that are based in or working for lesbian, gay, bisexual, and transgender (LGBT) communities. Besides that concentration, she has been active in bank related groups, such as Robert Morris Associates and the National Association of Bank Women, and in 2000 received an award from the National Association of Women Business Owners. Currently she helps with fund-raising for ‘Streetwise’, a Chicago-based newspaper supporting the homeless, and for ETA Creative Arts Foundation, Chicago’s oldest African American theater group. From 1994 to 1998, Connolly served on the board and the finance committee of Chicago House. From 2000 to 2002, she was on the board of Chicago 2006, which aimed to bring the Gay Games to Chicago, and was responsible for developing its budget to prepare its hosting bid. In 2001, she joined the Community Leadership Council of Horizons Community Services, and in 2002 she was appointed to the National Leadership Council of Lambda Legal Defense and Education Fund, which she served as a volunteer and donor. She is also on the steering committee and co-chairs the finance and operations committee of Center on Halsted, which plans to open a Chicago LGBT community center. After receiving an M.B.A. degree from Loyola University Chicago, Connolly served as bank examiner with the Federal Deposit Insurance Corporation and in 1976 she joined the staff of Northern Trust in Chicago. At Northern Trust, she has received both the Chairman’s Corporate Diversity Award and the Chairman’s Absolute Quality Award, which were given because of her diligence as a banker and lender and her tireless efforts at the bank concerning LGBT issues. She has been leader of TNTPride, the bank’s LGBT affinity group, since 1995 and was a key figure in securing the addition of sexual orientation to the bank’s human resources mission statement and in obtaining domestic partner benefits for employees. Northern Trust became the second bank in the nation to offer such benefits. Connolly also organized senior bankers from other institutions into BAGLE (Bankers Association for Gay & Lesbian Equality), with aim of helping other banks and corporations to develop LGBT groups and work toward domestic partner benefits. She often arranges for LGBT groups to use bank facilities for gatherings and fund-raisers, either at no cost or at cost only. She has helped Northern Trust to enhance its support of diversity through action and the aggressive pursuit of equal opportunities in jobs, marketing, and lending, not only for LGBT persons but also for those of low or moderate incomes, of various ethnicities, and in all parts of the city.